Attention of Authorised Dealers Category-I (AD Category - I) banks is invited to Regulations 9 and 10 and para 9 of Schedule I to the Foreign Exchange Management (Transfer or Issue of Security by a Person Resident outside India) Regulations, 2000 notified vide Notification No. FEMA 20/2000 -RB dated May 3, 2000 (hereinafter referred to as Notification No. FEMA 20), as amended from time to time. Attention of AD Category - I banks is also invited to A. P. (DIR Series) Circular No. 44 dated May 30, 2008 and A.P. (DIR Series) Circular No.63 dated April 22, 2009. 2. In terms of the said regulations, transfer of equity shares / fully and mandatorily convertible debentures/ fully and mandatorily convertible preference shares (hereinafter referred to as ‘shares’) of an Indian company, from a person resident outside India (non-resident) to a person resident in India (resident) or vice versa, has to be reported to an Authorized Dealer bank within 60 days of transactions. Further, the receipt of consideration for issue of shares as well as the issue of shares of an Indian company, to a non-resident has to be reported to the Reserve Bank of India through an Authorized Dealer bank within 30 days of the transaction. 3. It has been observed that SEBI registered FVCIs making investments in an Indian Company under FDI Scheme in terms of Schedule 1 of Notification No. FEMA.20 / 2000 - RB dated May 3, 2000, as amended from time to time, also report the same transaction under Schedule 6 of the Notification ibid, resulting in double reporting of the transaction. 4. It is clarified that wherever a SEBI registered FVCI acquires shares of an Indian company under FDI Scheme in terms of Schedule 1 of Notification No. FEMA 20 / 2000-RB dated May 3, 2000, as amended from time to time, such investments have to be reported in form FC-GPR/FC-TRS only, as applicable. Where the investment is under Schedule 6 of the Notification ibid, no FC-GPR/FC-TRS reporting is required. Such transactions would be reported by the custodian bank in the monthly reporting format as prescribed by RBI from time to time. Revised forms FC-GPR and FC-TRS are annexed as ANNEX-I and ANNEX-II, respectively, to this A.P. (DIR Series) Circular. 6. AD Category - I banks may bring the contents of the circular to the notice of their customers/constituents concerned. 7. Reserve Bank has since amended the Regulations vide Notification No.FEMA.266/2013-RB dated March 05, 2013 and notified vide G.S.R.No.341(E) dated May 28, 2013. 8. The directions contained in this circular have been issued under Sections 10(4) and 11(1) of the Foreign Exchange Management Act, 1999 (42 of 1999) and are without prejudice to permissions / approvals, if any, required under any other law. What is the procedure to be followed after investment is made under the Automatic Route or with Government approval? Ans. A two-stage reporting procedure has to be followed :. · KYC report on the non-resident investor from the overseas bank remitting the amount of consideration. Within 30 days from the date of issue of shares, a report in Form FC-GPR- PART A together with the following documents should be filed with the Regional Office concerned of the Reserve Bank of India. The company has complied with the procedure for issue of shares as laid down under the FDI scheme as indicated in the Notification No. FEMA 20/2000-RB dated 3rd May 2000, as amended from time to time. a) Non-resident entity/ies - (other than individuals), to whom it has issued shares have existing joint venture or technology transfer or trade mark agreement in India in the same field and Conditions stipulated at Paragraph 4.2 of the Consolidated FDI policy Circular of Government of India have been complied with. Non-resident entity/ ies - (other than individuals), to whom it has issued shares do not have any existing joint venture or technology transfer or trade mark agreement in India in the same field. Note – For the purpose of the 'same' field, 4 digit NIC 1987 code would be relevant. b) The company is not an Industrial Undertaking manufacturing items reserved for small sector. The company is an Industrial Undertaking manufacturing items reserved for the small sector and the investment limit of 24 per cent of paid-up capital has been observed/ requisite approvals have been obtained. c) Shares issued on rights basis to non-residents are in conformity with Regulation 6 of the RBI Notification No FEMA 20/2000-RB dated 3rd May 2000, as amended from time to time. Shares issued are bonus shares. Shares have been issued under a scheme of merger and amalgamation of two or more Indian companies or reconstruction by way of de-merger or otherwise of an Indian company, duly approved by a court in India. Shares are issued under ESOP and the conditions regarding this issue have been satisfied. • Certificate from Statutory Auditors/ SEBI registered Category - I Merchant Banker / Chartered Accountant indicating the manner of arriving at the price of the shares issued to the persons resident outside India. Check whether Company is allowed to raise FDI under Automatic Route. Check if FDI is not allowed under Automatic Route, FIPB approval has been obtained. Check if the FDI is within the allowed Automatic Route Cap. Check whether the terms and conditions of Govt. Approval if any are complied with. Check whether the applicable pricing guidelines are followed. Check whether the FDI has come through:- By inward remittance through normal banking channels; or By debit to NRE/FCNR account of the person concerned maintained with an authorized dealer. Check Whether FIRC copies have been received. Check Whether FDI report and KYC report has been filed within 30 days of receipt of amount. Check whether the Dividend Rate on Preference Share does not exceed 300 basis point above prevailing SBI Lending rate. Check whether only Equity Shares / Compulsorily Convertible Preference Shares / Compulsorily Convertible Debentures are being issued? Check whether Shares are being allotted to OCB , if so OCB is on negative list of RBI, whether prior permission of RBI / FIPB as the case may be is taken for issue of shares to OCB. Check whether FC-GPR is being filed within 30 days of issue of Shares. Check whether Shares are issued within 180 days of receipt of remittance. If not is rbi prior approval taken or offence has been compounded. Check whether CA certificate is attached to FC-GPR. In case of Issue and acquisition of shares after merger or de-merger or amalgamation, ensure that: a) the percentage of shareholding of persons resident outside India in the transferee or new company does not exceed the percentage specified in the approval granted by the Central Government or the Reserve Bank, or specified in FEMA 20/2000:- Provided that where the percentage is likely to exceed the percentage specified in the approval or the FEMA 20/2000, the transferor company or the transferee or new company may, after obtaining an approval from the Central Government, apply to the Reserve Bank for its approval under FEMA 20/2000. b) the transferor company or the transferee or new company shall not engage in agriculture, plantation or real estate business or trading in TDRs; and c) the transferee or the new company has filed a report within 30 days with the Reserve Bank giving full details of the shares held by persons resident outside India in the transferor and the transferee or the new company, before and after the merger/amalgamation/reconstruction, and also furnishes a confirmation that all the terms and conditions stipulated in the scheme approved by the Court have been complied with. Check whether the Company is SSI and whether FDI is less than 24% of the paid up capital of the Company. Check whether Company is required to comply with Section 81 of CA, 1956 and Unlisted Companies Preferential Allotment Rules, 2003, if yes, have they been complied with. In case of Bonus issue check whether Articles of Association provides for capitalization of Reserve and whether General Meeting resolution is obtained. For ESOP’s etc., check whether CA, 1956 and the Rules made there under have been compiled by the Unlisted Company. In case of ECB conversion case, check Terms and Conditions governing issuance of bond vis –a-vis issue of Shares on conversions are complied and see the approval of the RBI in case ECB was under approval route. In case of Debenture Issue check if Articles allow issue of Debentures. For issue of shares arising out of Amalgamation or Demerger See the High Court Order and High Court Certified copy of the Scheme of Arrangement. Check Whether Board Resolution allotting Shares has been passed. Check whether Form 2 is filed allotting Shares with the MCA. How does a foreign company invest in India? What are the regulations pertaining to issue of shares by Indian companies to foreign collaborators/ investors? 1. Where provisions of Press Note 1 (2005 Series) issued by the Government of India are attracted. 2. Where more than 24% foreign equity is proposed to be inducted for manufacture of items reserved for the Small Scale sector. 3. FDI in sectors/activities to the extent permitted under Automatic Route does not require any prior approval either by Government or the Reserve Bank of India. 4. The investors are only required to notify the Regional Office concerned of the Reserve Bank of India within 30 days of receipt of inward remittances and file the required documents along with form FC-GPR with that Office within 30 days of issue of shares to non-resident investors. FDI in activities not covered under the automatic route requires prior Government approval and are considered by Investment Promotion Board (FIPB), Ministry of Finance. Application can be made in Form FC-IL, which can be downloaded from http://www.dipp.gov.in. Plain paper applications carrying all relevant details are also accepted. No fee is payable. Indian companies having foreign investment approval through FIPB route do not require any further clearance from Reserve Bank of India for receiving inward remittance and issue of shares to the non-resident investors. The companies are required to notify the concerned Regional Office of the Reserve Bank of India of receipt of inward remittances within 30 days of such receipt and submit form FC-GPR within 30 days of issue of shares to the non-resident investors. 7. Agricultural or plantation activities (cf Notification No. FEMA 94/2003-RB dated June 18, 2003). 9. Trading in Transferable Development Rights (TDRs). What should be done after investment is made under the Automatic Route or with Government approval? A two-stage reporting procedure has been introduced for this purpose. · Within 30 days from the date of issue of shares, a report in Form FC-GPR, PART A together with the following documents should be filed with the concerned Regional Office of the Reserve Bank of India. a. Non-resident entity/ies (other than individuals) to whom it has issued shares does / do not have any existing joint venture or technology transfer or trade mark agreement in India in the same field. b. The company is not investing in an SSI unit & the investment limit of 24 % has been observed/ requisite approvals have been obtained. c. Shares have been issued on rights basis and the shares are issued to non-residents at a price that is not lower than that at which shares are/were issued to residents. d. Shares issued are bonus shares. e. Shares have been issued under a scheme of merger and amalgamation of two or more Indian companies or reconstruction by of de-merger or otherwise of an Indian company, duly approved by a court in India. · Certificate from Statutory Auditors or Chartered Accountant indicating the manner of arriving at the price of the shares for persons residing outside India. All foreign investments are freely repatriable except in the cases where NRls choose to invest specifically under non-repatriable schemes. Dividends declared on foreign investments can be remitted freely through an Authorized Dealer. Indian companies are allowed to raise capital in the international market through the issue of ADRs/GDR. They can issue ADRs/GDRs without obtaining prior approval from RBI, if it is eligible to issue ADRs/GDRs in terms of the scheme for issue of foreign currency Convertible Bonds and Ordinary Shares (Through Depository Receipt Mechanism) Scheme, 1993 and subsequent guidelines issued by Ministry of Finance, Government of India. After the issue of ADRs/GDRs, the company has to file a return in the form given in Annexure 'C' to the RBI Notification No. FEMA.20/ 2000-RB dated May 3, 2000. The company is also required to file a quarterly return in a form specified in Annexure ‘D' of the same regulations. There are no end-use restrictions on GDR/ADR issue proceeds, except for an express ban on investment in real estate stock markets. What is meant by Sponsored ADR & Two-way fungibility Scheme of ADR/GDR? Sponsored ADR/GDR: An Indian company may sponsor an issue of ADR/GDR with an overseas depository against shares held by its shareholders at a price to be determined by the Lead Manager. The Operative guidelines for the same have been issued vide A.P. (DIR Series) Circular No.52 dated November 23, 2002. FCCBs can be issued by Indian companies in the overseas market in accordance with Scheme for Issue of Foreign Currency Convertible Bonds and Ordinary Shares (Through Depository Receipt Mechanism) Scheme, 1993. The FCCB issue needs to conform to External Commercial Borrowing guidelines, issued by RBI vide Notification No. FEMA 3/2000 dated May 3, 2000 as amended from time to time. Can I invest through Preference Shares? What are the regulations applicable in case of such investments? Foreign investment through preference shares is treated as Foreign Direct Investment. Foreign investment in preference shares is considered as a part of share capital and fall outside the External Commercial Borrowing (ECB) guidelines/cap. Can shares be issued against Lump sum Fee, Royalty and ECB? Issue of equity shares against lump sum fee, royalty and External Commercial Borrowings (ECBs) in convertible foreign currency are permitted, subject to meeting all applicable tax liabilities and sector specific guidelines. Can I invest in unlisted shares issued by a company in India? Can a foreigner set up a partnership/proprietorship concern in India? Only NRls/PIOs are allowed to set up partnership/proprietorship concerns in India. Even for NRls/PIOs investment is allowed on non-repatriation basis. Can I invest in Rights shares issued by an Indian company at a discount? There are no restrictions under FEMA for investment in Rights shares at a discount, provided the Rights shares so issued are being offered at the same price to residents and non-residents alike. This is a check-list of documents and procedures required to allot foreign shares to an Indian company after receiving foreign direct investment in India. Many sectors now do not requiere special approval from the RBI and FDI is permitted up to 100% on the automatic route subject to sectoral rules and regulations applicable. To know more also read this article: Indian Investment Regulations: Automatic vs. Approval. Share Capital Declaration Form on the letter head of the company, signed by the authorised signatory. The format is in accordance to current master circular (India FDI Circular). The share capital declaration has to be submitted in original to the bank before the foreign direct investment can be credited to the investees’ account. (*investee = the business entity in which an investment has been made). After the availablity of the above requirements the bank will credit the funds. Please note that the KYC will expire after one year, which means that if the investee company is receiving the foreign direct investment in India for a periode of over a year, the KYC will have to be renewed. Note: If shares are not being issued within this stipulated time, share application has to returned back to remitter or RBI permission has to be sought for delay in issuance of shares along with share allotment plan. This is as per revised RBI guidelines regarding FCGPR filing and issue of shares vide circular (India FDI Circular). · A certificate from the Company Secretary of the company accepting investment from persons resident outside India. · Copy of letter of intimation forwarded to RBI regarding receipt of funds as per part 1 mentiond above. · RBI approval for taking on record shares if already issued to non-resident shareholders. FCGPR FORM AND FOREIGN INWARD REMITTANCE. Reserve bank of India (RBI) has stipulated certain reporting requirements for foreign inward remittance in respect of share capital amount received. 1. On receipt of inward remittance within 30days the intimation has to be informed to RBI by annexure 6 through authorised dealer (AD). 2. The shares have to be allotted within six months from the date of receipt of money or the application money has to be returned. 3. Within 30 days from the date of allotment the FCGPR form has to be filed with RBI through authorised dealer. f. Description of business activity, NIC Code of business activity. g. Project Location and NIC code of district in which the project is situated. h. Percentage of FDI allowed. i. Whether approval is given under Automatic Route/Approval Route. j. Details of the foreign investor. k. Constitution of foreign investor. 5. The FCGPR form should be accompanied by valuation share certificate given by Chartered Accountant on discounted Cash Flow method and certificate from the Company Secretary of the company or Practising Company Secretary where there is no company secretary for the company confirming that all the requirements under the Companies Act have been complied with. 6. The delay in reporting will attract penalty. 7. In order to avoid penalty application for compounding of contraventions has to be applied to RBI. 8. The FCGPR form has to be signed by Director, Managing Director or Company Secretary. 9. In declaration page, the non applicable portions have to be struck off and signed by the director under seal. 10. The date of allotment should always be after the inward remittance amount is credited to the company’s bank account. (a) The actual inflows on account of such issuance of shares shall be reported by the AD branch in the R-returns in the normal course. (b) An Indian company receiving investment from outside India for issuing shares / convertible debentures / preference shares under the FDI Scheme, should report the details of the amount of consideration to the Regional Office concerned of the Reserve Bank through it’s AD Category I bank, not later than 30 days from the date of receipt in the Advance Reporting Form. Noncompliance with the above provision would be reckoned as a contravention under FEMA, 1999 and could attract penal provisions. (c) Indian companies are required to report the details of the receipt of the amount of consideration for issue of shares / convertible debentures, through an AD Category – I bank, together with a copy/ies of the FIRC/s evidencing the receipt of the remittance along with the KYC report on the nonresident investor from the overseas bank remitting the amount. The report would be acknowledged by the Regional Office concerned, which will allot a Unique Identification Number (UIN) for the amount reported. (a) The equity instruments should be issued within 180 days from the date of receipt of the inward remittance or by debit to the NRE/FCNR (B) /Escrow account of the nonresident investor. (b) In case, the equity instruments are not issued within 180 days from the date of receipt of the inward remittance or date of debit to the NRE/FCNR (B) account, the amount of consideration so received should be refunded immediately to the non-resident investor by outward remittance through normal banking channels or by credit to the NRE/FCNR (B)/Escrow account, as the case may be. (c) Non-compliance with the above provision would be reckoned as a contravention under FEMA and could attract penal provisions. (d) In exceptional cases, refund / allotment of shares for the amount of consideration outstanding beyond a period of 180 days from the date of receipt may be considered by the Reserve Bank, on the merits of the case. (a) After issue of shares (including bonus and shares issued on rights basis and shares issued on conversion of stock option under ESOP scheme)/ convertible debentures / convertible preference shares, the Indian company has to file Form FC-GPR, through it’s AD Category I bank, not later than 30 days from the date of issue of shares. Non-compliance with the above provision would be reckoned as a contravention under FEMA and could attract penal provisions. d) the company has all original certificates issued by AD banks in India evidencing receipt of amount of consideration. (ii) A certificate from SEBI registered Merchant Banker or Chartered Accountant indicating the manner of arriving at the price of the shares issued to the persons resident outside India. (c) The report of receipt of consideration as well as Form FC-GPR have to be submitted by the AD bank to the Regional Office concerned of the Reserve Bank under whose jurisdiction the registered office of the company is situated. (d) Issue of bonus/rights shares or shares on conversion of stock options issued under ESOP to persons resident outside India directly or on amalgamation / merger with an existing Indian company, as well as issue of shares on conversion of ECB / royalty / lumpsum technical know-how fee / import of capital goods by units in SEZs has to be reported in Form FC-GPR. (i) The actual inflows and outflows on account of such transfer of shares shall be reported by the AD branch in the R-returns in the normal course. (ii) Reporting of transfer of shares between residents and non-residents and vice- versa is to be made in Form FC-TRS. The Form FC-TRS should be submitted to the AD Category – I bank, within 60 days from the date of receipt of the amount of consideration. The onus of submission of the Form FC-TRS within the given timeframe would be on the transferor / transferee, resident in India. (iii) The sale consideration in respect of equity instruments purchased by a person resident outside India, remitted into India through normal banking channels, shall be subjected to a KYC check by the remittance receiving AD Category – I bank at the time of receipt of funds. In case, the remittance receiving AD Category – I bank is different from the AD Category – I bank handling the transfer transaction, the KYC check should be carried out by the remittance receiving bank and the KYC report be submitted by the customer to the AD Category – I bank carrying out the transaction along with the Form FC-TRS. (iv) The AD bank should scrutinise the transactions and on being satisfied about the transactions should certify the form FC-TRS as being in order. (v) The AD bank branch should submit two copies of the Form FC-TRS received from their constituents/customers together with the statement of inflows/outflows on account of remittances received/made in connection with transfer of shares, by way of sale, to IBD/FED/or the nodal office designated for the purpose by the bank in the enclosed proforma (which is to be prepared in MS-Excel format). The IBD/FED or the nodal office of the bank will consolidate reporting in respect of all the transactions reported by their branches into two statements inflow and outflow statement. These statements (inflow and outflow) should be forwarded on a monthly basis to Foreign Exchange Department, Reserve Bank, Foreign Investment Division, Central Office, Mumbai in soft copy (in MS- Excel) by e-mail to fdidata@rbi.org.in. The bank should maintain the FCTRS forms with it and should not forward the same to the Reserve Bank of India. (vi) The transferee/his duly appointed agent should approach the investee company to record the transfer in their books along with the certificate in the Form FC-TRS from the AD branch that the remittances have been received by the transferor/payment has been made by the transferee. On receipt of the certificate from the AD, the company may record the transfer in its books. (vi) On receipt of statements from the AD bank , the Reserve Bank may call for such additional details or give such directions as required from the transferor/transferee or their agents, if need be. a. In case of full conversion of ECB into equity, the company shall report the conversion in Form FC-GPR to the Regional Office concerned of the Reserve Bank as well as in Form ECB-2 to the Department of Statistics and Information Management (DSIM), Reserve Bank of India, Bandra-Kurla Complex, Mumbai – 400 051, within seven working days from the close of month to which it relates. The words “ECB wholly converted to equity” shall be clearly indicated on top of the Form ECB-2. Once reported, filing of Form ECB-2 in the subsequent months is not necessary. b. In case of partial conversion of ECB, the company shall report the converted portion in Form FC-GPR to the Regional Office concerned as well as in Form ECB-2 clearly differentiating the converted portion from the non-converted portion. The words “ECB partially converted to equity” shall be indicated on top of the Form ECB-2. In the subsequent months, the outstanding balance of ECB shall be reported in Form ECB-2 to DSIM. c. The SEZ unit issuing equity as mentioned in para (iii) above, should report the particulars of the shares issued in the Form FC-GPR. Department of Industrial Policy and Promotion, Government of India (DIPP) has notified the new consolidated policy on Foreign Direct Investment (FDI) on 5th April, 2013. This policy supersedes all earlier policies, circulars, press notes issued on FDI by DIPP. The Consolidated FDI Policy permits an Indian Company having FDI to be converted into the LLP with prior approval of FIPB/Government but subject to various conditions. One of the conditions, prior to introduction of FDI Policy dated 5th April, 2013 was that Foreign Capital participation in LLPs will be allowed only by way of cash consideration, received by inward remittance, through normal banking channels or by debit to NRE/FCNR account of the person concerned, maintained with an authorized dealer/authorized bank. In case of Conversion of an Indian Company into LLP, the said condition has been dispensed with by introducing new Consolidated FDI Policy dated 5th April, 2013. As per the FDI Policy, the companies are allowed to issue equity shares against the import of capital goods/ machinery/ equipment (excluding second-hand machinery), subject to compliance with the various conditions specified therein. One of the conditions in the FDI policy was mandatory requirement of independent valuation of the capital goods/machinery/equipments (including second-hand machinery) by a third party entity, preferably by an independent valuer from the country of import along with production of copies of documents/certificates issued by the customs authorities towards assessment of the fair-value of such imports. The said condition has been dispensed with through introduction of the new Consolidated FDI Policy dated 5th April, 2013. Every company, making allotment to any foreign individual or company incorporated outside India, is required to report to Reserve Bank of India (RBI) in form FC GPR within 30 days from the date of allotment. Apart from the various declarations in Form FC GPR, following two declarations have been deleted from the Form FC GPR with the introduction of new Consolidated FDI Policy dated 5th April, 2013. A. Foreign entity/entities—(other than individuals), to whom we have issued shares have existing joint venture or technology transfer or trade mark agreement in India in the same field and Conditions stipulated at Para 4.2 of Consolidated FDI policy Circular of Government of India have been complied with. Foreign entity/entities—(other than individuals), to whom we have issued shares do not have any existing joint venture or technology transfer or trade mark agreement in India in the same field. For the purpose of the 'same' field, 4 digit NIC 1987 code would be relevant. B. We are not an Industrial Undertaking manufacturing items reserved for small sector. We are an Industrial Undertaking manufacturing items reserved for small sector and the investment limit of 24 % of paid-up capital has been observed/ requisite approvals have been obtained. Transfer of shares or convertible debentures by Resident to Non-Resident is allowed subject to various terms and conditions. The ‘Person Resident outside India’ now includes incorporated non-resident entity, foreign national, NRI, FII other than erstwhile OCB. The foreign national, NRI, FII were earlier excluded from the definition of the ‘Person Resident outside India’ for the purposes of transfer of shares/convertible debentures from resident to the non-residents. No sponsor may hold more than 50% of the shareholding in an ARC either by way of FDI or by routing it through an FII controlled by the single sponsor. The total shareholding of an individual FII shall not exceed 10% of the total paid-up capital. Reserve Bank of India vide A. P. (DIR Series) Circular No. 16 dated 22nd August, 2012 has allowed citizen / entity incorporated in Pakistan to Invest in the equity capital of the Indian entity after getting Government Approval. In respect to the said amendment Department of Industrial Policy and Promotion has also issued Press Note no. 3 2012. The Reserve Bank of India vide A.P. (DIR Series) Circular No. 36 dated 26th September, 2012 has changed the pricing criteria for the shares subscribed under the Memorandum of Association. It has dispensed with the condition of DFCF method in case of subscription shares and has allowed that in cases where the shares are subscribed under the Memorandum of Association by the non-resident including NRIs such investment may be made at face value subject to the eligibility to invest under the FDI scheme. Reserve Bank of India vide A.P. (DIR Series) Circular No.133 dated 20th June, 2012 has prescribed new format (excel) for Annual return on Foreign Liabilities and Assets Reporting by Indian Companies which is required to be filed to Reserve bank through email at fla@rbi.org.in. Department of Industrial Policy and Promotion (DIPP) issued various Press notes i.e. Press Note no. 4 2012 – FDI in single brand, Press Note no. 5 2012 – FDI in Multi brand, Press Note no. 8 2012 - FDI in Power exchange, Press Note no. 7 2012 – FDI in broadcasting sector, Press Note No. 6 2012 - FDI in civil aviation sector, through which certain amendments in foreign investment policy in sectors such as Single–Brand Product Retail Trading, Multi-Brand Retail Trading, Civil Aviation Sector, Broadcasting Sector, and Power Exchanges had been done. Those amendments have been incorporated in the New FDI Consolidated Policy dated 5th April, 2013. Chapter 6 of Consolidated Policy provides about the Sector Specific Condition on FDI which is divided into two Para 6.1 & 6.2. 6.1 states the prohibited sectors and 6.2 states about permitted sectors. Under 6.2.24 of the permitted sectors the government has allowed NBFCs to have 100% FDI under Automatic Route subject to different minimum capitalization norms. The NBFC with 100% foreign capital are also allowed to set up step down subsidiary for specific NBFC activities without any restriction on the number of operating subsidiaries and without bringing in additional capital subject to the condition of minimum capitalization of US$ 50 million. The Department of Industrial Policy and Promotion has revised the policy vide press note dated 3rd October, 2012 and has allowed NBFC with 75% and up to 100% to set up step down subsidiary for specific NBFC activities without any restriction on the number of operating subsidiaries and without bringing in additional capital subject to the condition of minimum capitalization of US$ 50 million. This means now the Indian investing company registered as NBFC and having minimum 75% and up to 100% FDI can now set up any number of step down subsidiaries with minimum capitalization of US$ 50 million. As per Consolidated FDI Policy, the companies incorporated in India and is owned or controlled by non-resident entity/ies are allowed to further invest in another Indian company. Such investment by the Indian company owned or controlled by non-resident entities is called as downstream investment. While doing the downstream investment it is prescribed that the entire investment by the investing Indian company owned or controlled by non-resident entity/ies would be considered as indirect foreign investment. The Government of India, vide press note no. 2 dated 31st July, 2012, has reviewed the policy and has prescribed that while making the downstream investment by the banking company incorporated in India owned or controlled by non-resident entities, shall not count as indirect foreign investment where the downstream investment is done under either corporate debt restructuring or other loan restructuring mechanism or in trading books or for acquisition of shares due to defaults in loan. Vide A. P. (DIR Series) Circular No. 7 dated 16th July, 2012 , the Reserve Bank of India has issued Scheme for Investment by Qualified Foreign Investors (QFIs) in Indian corporate debt securities earlier to which QFIs were not allowed to invest in Corporate debt securities. Also dividend payments on equity shares held by QFIs are permitted to be remitted to the designated overseas bank accounts of QFIs or to the single non-interest bearing rupee account which could earlier be credited to the single rupee pool bank account. Foreign entity/entities—(other than individuals), to whom we have issued shares have existing joint venture or technology transfer or trade mark agreement in India in the same field and Conditions stipulated at Para 4.2 of Consolidated FDI policy Circular of Government of India have been complied with. We are not an Industrial Undertaking manufacturing items reserved for small sector. In a welcome move for the foreign owned and/or controlled banking companies in India, the New FDI Policy has introduced the much needed exception. Downstream investments made by banking companies, which are owned and/or controlled by non-residents / non-resident entity(ies), due to / under a “Corporate Debt Restructuring (CDR), or under any other loan restructuring mechanism, or in trading books, or for acquisition of shares due to defaults in loans”, will not be treated as an indirect FDI. It is, however, clarified that ‘strategic downstream investment’ by such banking companies will be taken into account for calculating the indirect FDI. The term ‘strategic downstream investment’ will mean and cover all the investments made by such banking companies in any subsidiaries, joint ventures and associates. This clarification will help foreign owned and/or controlled banking companies in their operations as they will have better options to enforce their interest, in case there is a loan default by the borrower, without running into the risk of crossing the permitted FDI caps, if at all the FDI caps are applicable to the defaulting borrower entity. Although the said move is a breather for the foreign owned and/or controlled banking companies in India, it would have been worthwhile if the same exception was extended for non-banking financial companies (NBFCs) also, especially considering the fact that NBFCs are often involved in such debt restructurings or end up acquiring shares due to defaults and also considering that NBFCs are not treated as secured creditors under the SARFAESI Act (i.e. The Securitization and Reconstruction of Financial Assets and Enforcement of Securities Act, 2002). Under the Form FC-GPR, the Erstwhile FDI Policy also required the authorised representative of the Indian company to file a declaration in the prescribed form. Under the Form FC-GPR, the New FDI Policy has introduced the requirement for an additional declaration which has to be made by the authorized representative of the Indian company. They will have to declare, that the foreign investment received will be utilized in compliance with the provisions of the Prevention of Money Laundering Act, 2002 (PMLA) and Unlawful Activities (Prevention) Act, 1967 (UAPA). Further, the said declaration states that the authorized representative confirms that the investment complies with the provisions of all the applicable rules and regulations. Essentially, the New FDI Policy creates an additional responsibility on the Indian company and its authorized representative to ensure that the foreign investment is not in non-compliance with the applicable laws and is in line with the government’s drive against money laundering activities and unlawful activities. Hence, any non-compliance thereof, if discovered, can be attributed to be intentionally performed by the Indian company receiving FDI under the garb of a false declaration, thus, providing the regulators a strong case to proceed against. As per Foreign Exchange Management (Transfer or Issue of Security by a Person Resident Outside India) Regulations, 2000, the price at which shares of unlisted companies are issued to non-residents (including NRIs) should not be less than the fair value of the shares, calculated as per the discounted cash flow (“DCF”) method. This condition is applicable for all kinds of allotment of shares including issuance of shares to subscribers to the memorandum of association in case of newly set up Indian entity and also in case of subsequent issue of shares to non-residents. Due to the position under the Extant FDI Policy, it may be said that it was commercially unjust to put an onus to issue shares to a non-resident subscriber at premium, when the company had not even commenced its business. RBI clarified in its circular dated September 26, 20121, that shares can be issued to subscribers (both non-residents and NRIs) to the memorandum of association at face value of shares subject to their eligibility to invest under the FDI scheme. The DIPP has now inserted this provision in the New FDI Policy, in line with the requirement under the Companies Act, 1956, thus, allowing non-residents and NRIs to subscribe to the memorandum of association of Indian companies at face value subject to their eligibility to invest under the FDI scheme. The aforesaid addition in the New FDI Policy is a great relief to non-resident investors (including NRIs) in allowing them to set up new entities at face value of the shares and in turn reduce the cost and time involved in obtaining a DCF valuation certificate for such newly set up companies. Although, under the Companies Act, 1956, the minimum paid up capital is INR 100,000 for private companies and INR 500,000 in case of public companies, on reading of this new provision in the New FDI Policy, it seems that the said relaxation can even extend to situations where the non-resident investor is infusing a substantial amount of initial capital at the time of subscribing to the memorandum of association of a newly incorporated company. For e.g., it may be possible for a non-resident investor to infuse even USD 1,000,000 at face value by subscribing to the memorandum of association of the Indian company and possibly circumvent the pricing norms which would have been otherwise applicable. : The SEBI (Alternative Investment Funds) Regulations, 2012 (“AIF Regulations”) were notified on May 21, 2012. The AIF Regulations succeeded and repealed the erstwhile SEBI (Venture Capital Funds) Regulations, 1996 (“VCF Regulations”). Although, SEBI registered venture capital funds (“VCFs”) under the VCF Regulations, can continue to operate as VCFs (unless transitioned to the new regime under the AIF Regulations), the New FDI Policy, like the Erstwhile FDI Policy, does not contemplate or provide any impact of the various relevant provisions on the alternative investment funds (“AIFs”) that have now been registered with SEBI under the AIF Regulations. Amongst others, Clause 3.2.3 and 3.2.4 under the New FDI Policy, regarding FDI in VCFs and trusts, respectively, continue to remain in the same way and do not contemplate SEBI registered AIFs. Considering the number of AIFs being registered with the SEBI and the interest shown by non-residents to invest in such AIFs, it is imperative for the DIPP to issue an immediate clarification on this issue. : On September 30, 2011, DIPP had introduced Clause 3.3.2.1 in the then prevalent FDI policy which posed great uncertainty over a host of rights, including call options, put options, or even tag along and drag along rights or any right that the investor could exercise at a future date, even though these heavily negotiated rights were contractually agreed between sophisticated parties. Although the said addition of the clause was rolled back within 30 days by DIPP, the ambiguity with put options still remains as RBI has been issuing notices on a case to case basis. Industry participants were hopeful to receive clarity on the enforceability and legality of the put options in the New FDI Policy. 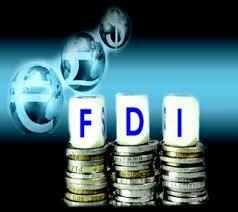 However, much to the dismay of the industry participants and foreign investors, the New FDI Policy lacks this clarity. : The New FDI Policy does not define the term ‘Financial Services’. As was the position under the Erstwhile FDI Policy, it is provided under the New FDI Policy also that, in the financial services, other than the services specifically mentioned in the New FDI Policy, FDI can be received only after obtaining the prior government approval. The said broad exclusion or rather categorization without defining the term ‘Financial Services’ creates ambiguity in determining if a particular company is engaged in the activities that can be classified as ‘financial services’. For example, it’s not clear if carrying out activities as a trustee should be categorized under the head of ‘Financial Services’. : FDI up to 51% in multi brand retail trading (“MBRT”) was allowed under the Government route and subject to compliance with certain specified conditions vide Press Note 5 (2012 series) that was issued on September 20, 2012. Please refer to our hotline titled ‘India Notifies 51% FDI In Multi Brand Retail Trading’ whereby we had highlighted the challenges that will be faced in the implementation of the said policy. Despite, the industry participants having consistently highlighted the challenges in the policy for MBRT, the policy with respect to FDI in MBRT is mirrored the way it was introduced in the Press Note 5 (2012 series) without the much needed changes and clarifications. Much was expected from the Government in this new piece of the FDI policy, especially in light of the weakening sentiment for foreign investors which also has been marred because of the ‘not so favorable’ Budget 2012-132. In light of the insignificant modifications made under the New FDI Policy, barring a few minor ones (as discussed above), most of the changes are in respect to incorporation of the various press notes and circulars that were issued after the Erstwhile FDI Policy was issued on April 10, 2012. For a detailed analysis on the Press Notes 4, 5, 6, 7 and 8 (2012 Series), please refer to our hotline titled 'India breaks the FDI shackles: Multi Brand Retail Trading and other sectors liberalized'. Further, various challenges and ambiguities which have been previously prevailing under the Erstwhile FDI Policy have not been addressed by the DIPP in the New FDI Policy such as the uncertainty with respect to FDI in MBRT, for which, till date, no retailer has been able to make an investment despite the fact that FDI in MBRT was allowed since more than six months ago. agent and in the latter case the Power of Attorney Document. shares by a person resident outside India. iii. Certificate indicating fair value of shares from a Chartered Accountant. iv. Copy of Broker's note if sale is made on Stock Exchange. account ceiling as prescribed has not been breached. evidencing the shares held by them on repatriation/non-repatriation basis. Attention of Authorised Dealer Category - I (AD Category - I) banks is invited to A. P. (DIR Series) Circular No.16 dated October 4, 2004 wherein, it has been stipulated that in case of transfer of shares or convertible debentures of an Indian Company from a resident to a Non-Resident/Non-Resident Indian and vice versa by way of sale, the transaction is required to be reported by the Indian company to the AD Category – I bank in the form FC-TRS. 2. With a view to capture the details of investment in a more comprehensive manner, the form FC-TRS has been revised, which is enclosed as Annex I. Accordingly, the proforma for reporting of inflow/outflow details on account of remittances received / made in connection with the transfer of shares / convertible debentures, by way of sale, submitted by IBD/FED/nodal branch of the AD Category – I bank to the Reserve Bank has also been modified, which is enclosed as Annex II. 3. It has also been decided to introduce a KYC check on the remitter / investor. Accordingly, AD Category – I banks receiving the remittance are required to submit a KYC report on the non-resident investor as per the format enclosed in Annex III. In case AD Category – I bank receiving the remittance is different from the AD Category – I bank receiving the FC-TRS for the sale transaction, the KYC check should be carried out by the AD Category – I bank receiving remittance and the KYC report should be forwarded to the AD Category – I bank to whom form FC-TRS is submitted by the Indian company. 4. The directions contained in this circular shall come in to force with immediate effect. All other instructions mentioned in A. P. (DIR Series) Circular No. 16 dated October 4, 2004 shall remain unchanged. 5. AD Category – I banks may bring the contents of this circular to the notice of their constituents and customers concerned. 6. The directions contained in this circular have been issued under sections 10(4) and 11(1) of the Foreign Exchange Management Act, 1999 (42 of 1999) and is without prejudice to permissions / approvals, if any, required under any other law. Attention of Authorized Dealers Category-I (AD Category-I) banks is invited to Regulations 9 and 10 of the Foreign Exchange Management (Transfer of Issue of Security by a Person Resident outside India) Regulations, 2000 notified vide Notification No.FEMA 20/2000-RB dated May 3, 2000, as amended from time to time. Accordingly, the transfer of shares from a Resident to a Non Resident where i) the transfer does not conform to the pricing guidelines as stipulated by the Reserve Bank from time to time; or ii) the transfer of shares requires the prior approval of the FIPB as per the extant Foreign Direct Investment (FDI) policy; or iii). the Indian company whose shares are being transferred is engaged in rendering any financial service; or iv) the transfer falls under the purview of the provisions of SEBI (SAST) Regulations, require the prior approval of the Reserve Bank of India. Further, transfer of shares from a Non Resident to a Resident which does not conform to the pricing guidelines as stipulated by the Reserve Bank of India from time to time also requires the prior approval of the Reserve Bank of India. Chartered Accountants Certificate to the effect that compliance with the relevant SEBI regulations / guidelines as indicated above is attached to the form FC-TRS to be filed with the AD bank. b) the transfer of share adheres with the pricing guidelines and documentation requirements as specified by the Reserve Bank of India from time to time. ii) where SEBI (SAST) guidelines are attracted subject to the adherence with the pricing guidelines and documentation requirements as specified by Reserve Bank of India from time to time. c) Chartered Accountants Certificate to the effect that compliance with the relevant SEBI regulations / guidelines as indicated above is attached to the form FC-TRS to be filed with the AD bank. b). The FDI policy and FEMA regulations in terms of sectoral caps, conditionalities (such as minimum capitalization, etc. ), reporting requirements, documentation etc., are complied with. 3. Necessary amendments to the Foreign Exchange Management (Transfer of Issue of Security by a Person Resident outside India) Regulations, 2000 notified vide Notification No. FEMA 20/2000-RB dated May 3, 2000 are being notified separately. 4. AD Category – I banks may bring the contents of the circular to the notice of their constituents. 5. The directions contained in this circular have been issued under Sections 10(4) and 11(1) of the Foreign Exchange Management Act, 1999 (42 of 1999) and are without prejudice to permissions / approvals, if any, required under any other law. (a) After issue of shares (including bonus and shares issued on rights basis and shares issued on conversion of stock option under ESOP scheme)/ convertibledebentures / convertible preference shares, the Indian company has to file Form FC-GPR, through it’s AD Category I bank, not later than 30 days from the date of issue of shares. Non-compliance with the above provision would be reckoned as a contravention under FEMA and could attract penal provisions. MUMBAI: Foreign venture capital funds are running into an unexpected hurdle as they step in to strike exit deals. It's all about a near forgotten piece of paper submitted to the Reserve Bank of India by local unlisted firms five to six years ago when they had received investments from the foreign funds. Today, as offshore funds try to cash out, that innocuous form filed with the central bank is emerging as a deal breaker. It's capping the price at which a fund can sell its stake as well putting conditions on exit timing. Several firms, in what they felt was a mere formality, had filed the form - called FC-GPR in banking parlance - within a month of issuing shares to foreign investors. But little did they know that this prompted RBI to record the investment as a regular foreign direct instead of a foreign venture capital investment. For venture capitalists, this nomenclature can make a world of difference. A foreign venture capital investor (FVCI) registered with the capital market regulator Sebi can sell its holding at whatever price the stake fetches. Other private equity or FDI investors do not have such flexibility: they have to cash out at a price which is equal to or less than the price arrived through a formula based on discounted cash flow. Also, an FVCI is allowed to offload stake soon after the shares of an investee company are listed on stock exchanges; but any inbound investment categorised as FDI has to wait for a year post the initial public offering before it can sell. Two fund managers and their advisors told ET that at least half a dozen deals are stuck with potential buyers unwilling to close transactions, fearing regulatory wrangles later. FVCIs have fixed life cycle and have to share their investment strategies with Sebi. Of the $65 billion investments (excluding inflows into real estate projects) by foreign private equity and offshore VCs since 2001, close to 50% was by FVCIs. "While technically the form need not be filed for FVCI, investee companies went ahead with it out of caution. They did not want RBI to pull them up later. But now Indian promoters and MNCs who want to buy the shares from FVCIs are discovering the filing in the course of due diligence. And when they approach RBI for clarification, they are told it's FDI.. The pricing restrictions that follow is upsetting things," said a person familiar with the matter. With growth softening and companies unable to pull off IPOs, some funds, in the last one year, have exercised their option to exit. According Mahendra Swarup, president of the Indian Venture Capital and Private Equity Association (IVCA), some of the association members are facing the problem. Punit Shah Partner (Tax & Regulatory Services) KPMG, felt it would be appropriate for RBI to clarify the correct legal position and procedure to be followed on this aspect. A lack of clarity could cause errors in the FDI data, said a senior partner of a law firm. "The FVCI data is collected from onshore custodian banks while FDI is complied from the FC-GPR form. So there could be some double counting," he said. The form is largely used to keep track of FDI inflow, particularly after investments in several sectors were put under automatic route. Interestingly, a year ago RBI, while responding to a specific query, had told a company that such filing is not mandatory for FVCI inflow. But the regulator did not come out with a specific notification. The confusion, sources think, will prevail as long as RBI does not spell out its stand. "For new investments, funds and companies will ensure that no FC-GPR is signed, said one of them. "But what about old investments for which FVCIs are looking for buyers?" Inc. US. Now the FCGPR to be filed for allotment of shares to ABC Inc. Certainly AD will not accept the FCGPR. You better refund the amount and get it back again from the prospective allotee of shares!!! But if we obtain the Non Objection Certificate from Remitter in this regard and submit it to AD , will it works? If anybody has practically handled this type of case , Pls guide us. Yes i too agree with this . even i too faced similar issue. getting money from Australia company and company wants to allot shares to Singapore Company. but returning money is a big question, its not possible practically. . the company might used it for some purpose. Again converting money into foreign currency and refunding. all this are practical issues. can we request seniors to enlighten us on this. 1.Unsecured loans will fall under the purview of ECB guidelines and you have to follow ECB procedures. 2. It could not be considered as unsecured loans as the FIRC issued by your banker might have stated the reasons as investment in equity shares.